Tunnock's Tea Cakes are a national treasure with its iconic silver and red wrapper as well as a tasty treat. The recipe is top secret but below are some interesting trivia about Scotland's favourite marshmallow biscuit. The company, Thomas Tunnock Ltd, dates back to 1890 when Thomas bought a baker's shop in Lorne Place in Uddingston, Lanarkshire, Scotland. From this humble family business many products swiftly became popular, especially their long shelf life products which were needed to overcome the continuing post World War sugar and fat rationing well into the 1950s and the rest is history. They are now know simply as Tunnock's and the company is run by his grandson Boyd. 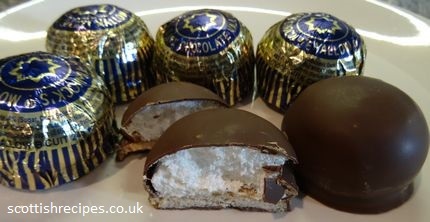 They can be described as a marshmallow on top of a round shortbread biscuit and all topped with dark or milk chocolate. It is wrapped in the iconic red and silver wrapping that features in many fun products like a tea towel or a mug . We are not sure why they are so named since a traditional teacake is more of a dried fruit bun served warm with butter or margarine. They are so loved that if you want to tour their factory you need to join a reputed two year waiting list. About three million are made each week. Viewers of the 2014 Glasgow Commonwealth Games may recall the dancers on stage dressed as Tunnock's tea cakes. 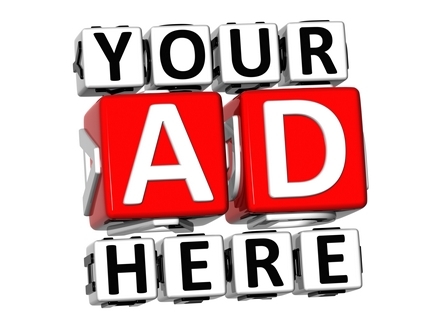 They are usually sold in 6 or 10 to a box or in large 36 display boxes and can easily be bought online . Each 24g product contains 106kcal.